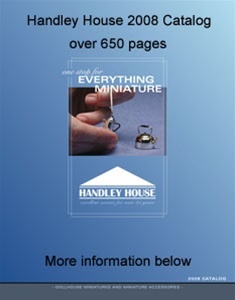 2008 Handley House Catalog. The one stop for EVERYTHING MINIATURE. 700 pages of products from over 150 different miniature suppliers. 1000's of products from ready made furniture and accessories to raw materials & building supplies and tools to make your own.